Boss Mid-Back Conference Chair. Beautifully upholstered with ultra soft and durable Caressoft upholstery. 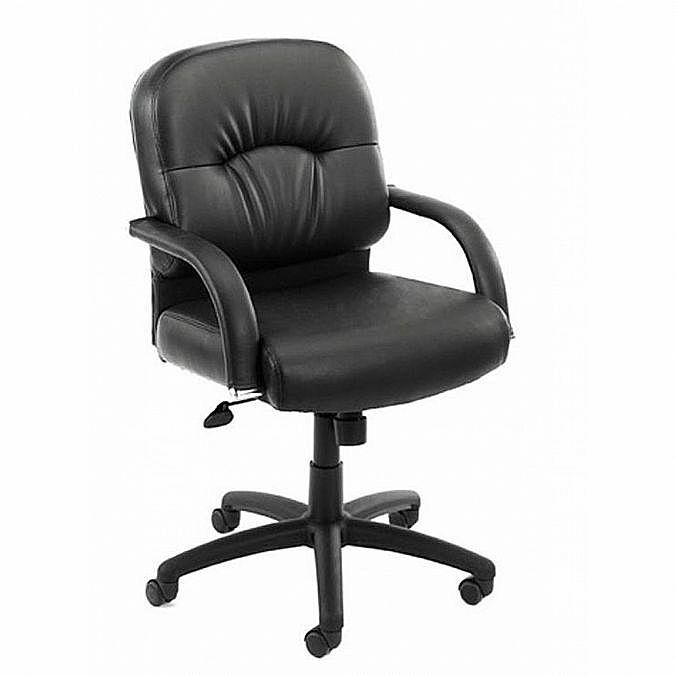 Executive Mid Back styling with extra lumbar support Padded armrests covered with Caressoft upholstery. Solid 27" nylon base with casters. Hooded double wheel casters. Upright locking position. Pneumatic gas lift provides instant seat height adjustment. Adjustable tilt tension control.